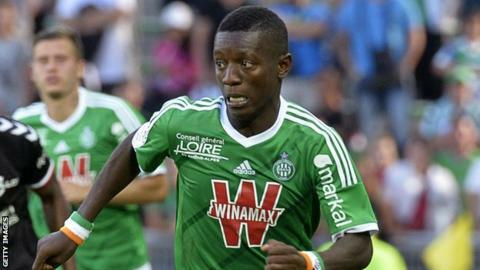 Ivory Coast international midfielder Max Gradel has signed a new contract with French club Saint Etienne. The new deal ties Gradel to the Ligue 1 side for a further two years. Gradel, 26, signed from English club Leeds United in 2011. He was due to become a free agent next June but the two-year extension means his new deal will run until 2017. Gradel has played 84 games for St Etienne, scoring 15 goals. He was a member of the French League Cup-winning side in 2013. Speaking to the club's website, Gradel said it was with "great pride and joy" that he would continue his journey with the club. "The club has many ambitions and I want to achieve great things with this group," he said.